This entry was posted in career in psychology, Depression, Mental Disorder, Mental Health, Psychological Disorder, Psychologist, psychology, psychology job, psychology teacher, ups education on July 23, 2014 by Psychology. Psychology is the scientific study of behavior and mental processes. It is based on research and evidence gathered from observation, experimentation and measurement and differs from the ‘pop psych’ found in self-help books, graphology, numerology, astrology which also try to explain people’s problems and predicts behavior and offer solutions. Psychologists focus on describing, understanding, explaining, predicting and modifying behavior and mental processes as well as on helping people understand themselves and others, so that they bring about change and improve the quality of life for themselves as well as those around them. Psychology is one of the fastest growing disciplines with developments in information technology, artificial intelligence, brain imaging, molecular biology and neuroscience making it even more multidisciplinary, challenging, and exciting. This entry was posted in career in psychology, Depression, Mental Disorder, Mental Health, Psychological Disorder, Psychologist, psychology, psychology job, psychology teacher, ups education on July 10, 2014 by Psychology. UPS EDUCATION COACHING CENTER – THE QUALITY EDUCATION in real sense believes in giving nothing but the best. The teaching faculty includes highly qualified and experienced teachers, who with their simple and lucid methods and conceptual short cut tricks and techniques help the students, solve maximum number of questions in minimum amount of time and hence they not only get selected but also secure topmost positions. Each subject is handled by its expert as we simply denounce the concept of Jack of all trades and master of none. Our students are excelling largely due to the faculty’s unique teaching methodology, commitment and dedication. All doubts of students are cleared and concepts are made crystal clear to them in the classroom itself. With separate teachers for every subject, and many experts for every subject, UPS Education stands much ahead of all other Institutes. UPS Education is today a leading name in the field of education for its innovative teaching methodology, impeccable quality and honesty. 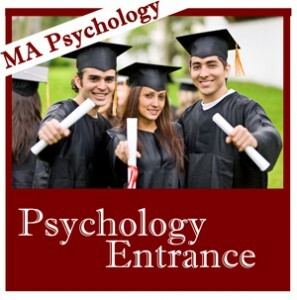 This entry was posted in assignment, best psychology coaching classes in delhi, career in psychology, Depression, Mental Disorder, Mental Health, Psychological Disorder, Psychologist, psychology, psychology job, psychology teacher, ups education on July 5, 2014 by Psychology. Welcome to UPS Education. UPS Education w as established for the purpose of imparting quality education. The institute derives its strength from qualified, experienced and fully dedicated teachers. This entry was posted in career in psychology, Depression, Mental Disorder, Mental Health, Psychological Disorder, Psychologist, psychology, psychology job, psychology teacher, ups education on July 4, 2014 by Psychology. UPS Education is the Leading Institute and Coaching center in Delhi. 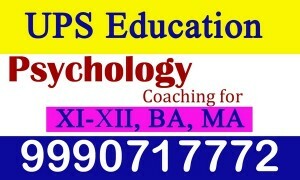 UPS Education provides Psychology Coaching i n New Delhi. We Ranked Top in Psychology Coaching by Some Educational Website. We Offer Academical and Entrance Coaching. 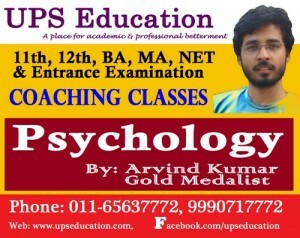 UPS Education Provide Psychology Coaching for Delhi University (DU), Jamia Milia University, Ambedkar University(AUD), and Indira Gandhi National Univesity(IGNOU). UPS Education provide Theory Classes as well as Practical Classes. This entry was posted in career in psychology, Depression, Mental Disorder, Mental Health, Psychological Disorder, Psychologist, psychology, psychology job, psychology teacher, ups education on July 3, 2014 by Psychology. because there are India’s top 2 Central University like Delhi University and Jamia Milia Islamia University. And Ambedkar University also is the good option who wants to pursue Master Degree in Psychology. 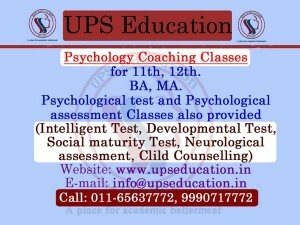 There are also some Good Coaching Center who provides Coaching for Psychology Entrance like UPS Education. According to the Director of UPS Education, who want to crack the Entrance of these university they need to be focus and Study systematically. All these universities have different pattern of Entrance Examination but students need to be very objective when they study theoretical Concept. They also suggest that refer only one book for any Theory. This entry was posted in career in psychology, Depression, Mental Disorder, Mental Health, Psychological Disorder, Psychologist, psychology, psychology job, psychology teacher, ups education on July 2, 2014 by Psychology.